Jude, her twin sister, and their older sister were whisked away when they were seven to the land of faeries after their parents were savagely murdered before their eyes. Jude’s older sister is actually her half sister and her father is from that land so she fits in well, despite not wanting to. Meanwhile, Jude and her twin are picked on everyday since they are mortal and do not have some of the powers everyone else has. They even have to wear protective charms because other can control them with glamours. Jude is very headstrong and refuses to back down and comply when she is bullied and it often gets her into more trouble. Prince Cardan, in particular, seems to truly despise Jude and makes it his daily mission to make her life a living hell. When Jude is presented with an opportunity to raise her social status and protect herself from the likes of Prince Cardan, she jumps at it without really thinking about what she is getting into. The King has announced he will be stepping down and choosing one of his six children to succeed him. She knows this is a time when much can go wrong, but despite all her preparations she is unprepared for the treacherous plans already in motion. Can she save herself and her family from those trying to destroy everything they hold dear? Will she put her faith in the right person? This book is immediately engaging and the characters are multifaceted. Since it came out it has been constantly checked out and word of mouth is definitely spreading on this popular new fantasy. There are many twists and turns in the plot and it’s difficult to predict how different characters will react to different situations. This is a must have for young adult libraries. 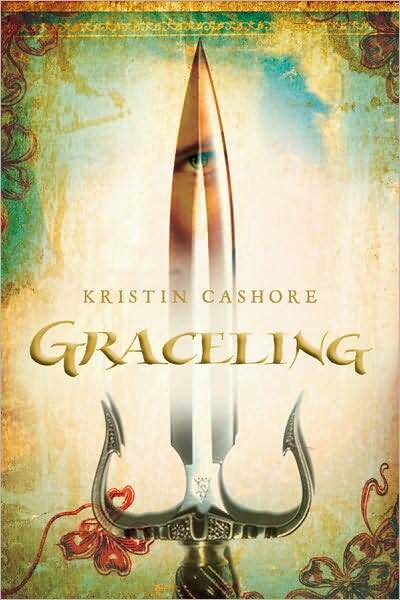 Katsa lives in a world where some people are born with special powers called Graces. Katsa believes her grace to be one for killing and hates herself for fulfilling the terrible tasks her King makes her do. One day she meets a man named Po from another country who is looking for his grandfather who was kidnapped. Katsa had already rescued the old man, but they did not want to release that information due to the fact that they still do not know who kidnapped him in the first place. As Katsa and Po start to investigate who might want to hurt his family, they become fearful that they may have to save everyone from a corrupt king using an immoral grace. This fantasy story was original and unique in a way that makes the reader want to keep reading. The story contains interesting and colorful characters as well as an exciting, and at times suspenseful, plot that is full of surprises until the end. Recommended for students and adults who like fantasy books. The idea of the graces is interesting and lends an extra layer of intrigue to this tale that will no doubt be around for a long time.